If you configured your kit order online verified by our consultancy, you will have 10 days return with money back guarantee after you received the product. We would ask you about the reasons for our customer’s service records. There are terms and conditions applied on our return or exchange policy. All parts shall be unused, undamaged, unscratched, clean and resell-able to be eligible for a return and full refund. Packing and shipping expenses as well as any labor involved in the customized orders is not refundable. You need to inform us prior to any shipment. Costumers will take shipping costs for both directions; unless the buyer made a clear claim with proof of EbikeBC’s mistakes. 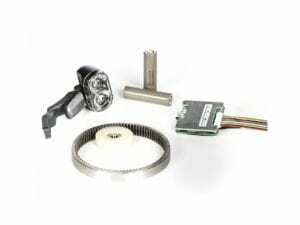 All ebike kit components including motor, controller, display, battery, charger, throttle, PAS sensor, brake sensors are covered by 12 months Free warranty. You can purchase extended warranty up to 24 months with 5$ per month. Ebike is a vehicle in real working conditions with no limitations. It is always exposed to unwanted impacts, shocks, vibrations, heat and cold, accidents, water penetration, etc. In case some defects comes up in a normal working condition we supply a free replacement part for you. You might be asked to pay the delivery or installation cost; ask for details prior to your request for any part. If the problem is caused by an accident, wrong or careless installation by the customer, careless actions, wire stretch, bad storage or not following instruction manual, customer should pay the cost of the part and replacement. The cause of the failure will be recognized by our experts. Please read our warranty and terms of liability. 1- Contact us and share the problem with our expert; the problem might be resolved through telephone or email instruction provided to you. Sometimes a loose connection or bad adjustment can cause failure to system normal operation. 2- There is a broken part that you have recognized yourself or with the help of our technician. We simply send you the right part and you will replace it yourself. 3- There is a major problem with motor or battery. You need to send the motor wheel or battery case to us and we will repair it and send back to you. b- Deep probe into the causes and reasons and fault diagnosis on call or online. d- Replacing only the defected parts, not the whole pack. All ebike kit components including motor, controller, display, battery, charger, throttle, PAS sensor, brake sensors are covered by 6months Free warranty or up to 24 months purchased warranty (each extra month will cost only 5CAD) which will be called full warranty period hereafter. 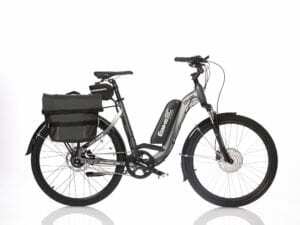 Ebike is a vehicle in real working condition with no limitation. It is always exposed to unwanted impact, shock, vibration, heat and cold, accident, water penetration, etc. In case some defect comes up in a normal working condition we supply a free replacement part for you. you might be asked to pay the delivery or installation cost; ask for details prior to your request for part. If the problem is caused by an accident, wrong installation by customer, careless actions, wire stretch, bad storage or not following instruction manual, customer should pay the cost of the part and replacement. This warranty covers the repair and/or the replacement of ebike kit components. This warranty only covers material and manufacturing defects. Costs for repair work performed in advance by persons who have not been authorized by EBIKEBC will not be reimbursed. In such a case, any warranty claim will cease. The warranty period starts with the date of purchase. Warranty claims must be reported immediately. If the battery pack does not provide full capacity in the course of normal use or for batteries going through a normal aging process or reduction of performance, EBIKEBC warranty covers that within the warranty period if the capacity proved to be less than 70% of Initial condition. a) External influences, particularly falling rocks, collision, accident and other external events with an immediate external effect due to mechanical powers. b) Purposeful and/or malevolent acts, theft and robbery as well as natural hazard events and/or acts of mischief. c) Inappropriate use, e.g. the product was exposed to liquids, chemicals of any type and/or extreme temperatures, wetness and humidity and/or if the battery suffers damages due to non-compliance with instructions. a) In the case of test, maintenance, repair and replacement work due to normal use. b) If the model, serial or product number on EBIKEBC product has been changed, deleted, blurred or removed. c) In the case of use of the battery in systems that are not approved for such use with this particular product. d) In the case of the operation of the EBIKEBC system with batteries other than the batteries designed for the EBIKEBC system (refer to user manual). e) If one or more than one EBIKEBC part has been opened, altered or repainted. This warranty only covers the above mentioned repair work and/or the replacement of defective or compromised components. It excludes any claims as to the reimbursement of property damages, downtimes, expenses for renting or leasing equipment, travel expenses, lost profit or any other claims. 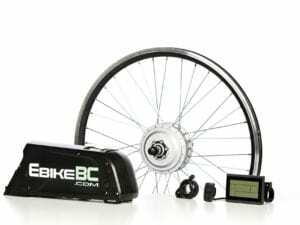 EBIKEBC liability in connection with this warranty is limited to the respective acquisition value of the product. This warranty only covers original EBIKEBC components. The use of spare parts from unknown sources, for example, replacement parts from third parties, is strictly prohibited. Warranty will be voided on any system on which it will be concluded that there has been any case of modification or tampering with firmware. EBIKEBC will not take any responsibility and or liability for any accident, misuse, abuse, loss, injury for or by the rider nor a third-party evenif the cause is ebike kit power, speed, components defect or malfunction. If you buy an ebike kit or parts with no installation and service or If the kit is installed by us, by testing and signing the check list provided , customer just take the ebike from us and all responsibilities and liabilities about bike, ebike components, brakes, bike mechanical parts and adjustments, electrical wirings, unforeseen occurrences, safety issues, maintenance and services, etc. is up to customer.